First of all I want to wish my dear father a very happy birthday today. Happy Birthday Dad!!! We love you! I’m excited to continue highlighting my favorite things from each week (or month if I happen to skip a week… or three). These posts are to provide fun, simple recommendations of wines to seek out, recipes to try, and other finds, all in the categories of wine, food, travel, and occasionally lifestyle. I’ve been on a Tempranillo kick lately and this one hit the spot. I opened it after a rough day solo with the kids and I melted into the couch after the first sip. 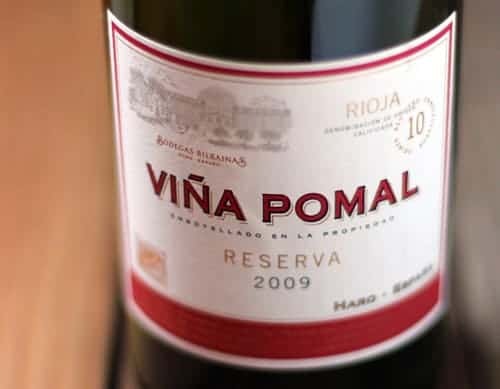 The wine is rich with dark berry fruit and dusty chocolate aromas with sweet oak. Luscious textures in the mouth, bold and structured but not overpowering. There’s also an intriguing savoriness to the wine, almost bacon-like, that makes you crave a big plate of roasted meat. Next time I drink this I’m gong to pair it with braised beef or some kind of roast. I wrote about another wine from the same producer recently, the Viña Zaco Tempranillo. The Zaco ($14) is bright and fruity and perfect with burgers, where this Reserva is more classic and rich. Both solid wines from a producer I’m now going to be seeking out. You simply can’t ignore the dramatic look of this bottle. It’ reminds me of my husband’s obsession with Game of Thrones. Not that they drink a lot of bubbly on the show. Actually I wouldn’t know, I’ve only ever seen about five minutes of it. But I imagine, if they had the technology to make custom wine bottles in the Middle Ages, they would look something like this — dramatic with hand made crests etched to the bottle. 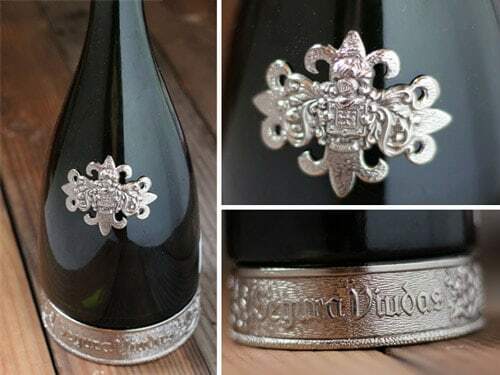 Each bottle of this sparkling wine rests on a pewter base with the family crest placed in the center. Made in the traditional méthode champenoise method, each bottle is hand-riddled and hand-disgorged, and the wine itself was pretty darn tasty. This is the reserve, or more upscale, version of one of my favorite under $10 Cavas. Lots of bright lemon citrus and pineapple aromas explode from your glass. The wine tastes vibrant with plenty of bold fruit driven flavors and a crisp clean finish. Rich and full bodied. For this price there’s a lot of great competitors on the market, but if you’re attracted by the dramatic look of the bottle you can’t get that anywhere else. Perhaps a good option next time you throw a Game of Thrones episode on the tube. Would also be a good match for roasted chicken if you want some food to go alongside. I made a batch this week for myself and the kids and we all loved it. 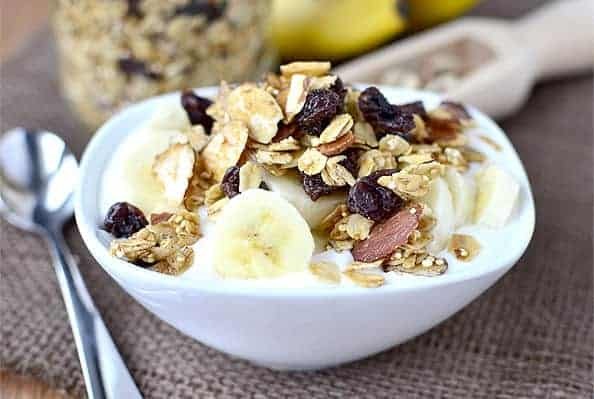 Great crunch and great flavor and a fraction of the sugar and junk found in most store bought granolas. I may have even made a special trip to Costco to buy ingredients in bulk to make this over, and over, and over. Why haven’t I though to make homemade Lara bars before? 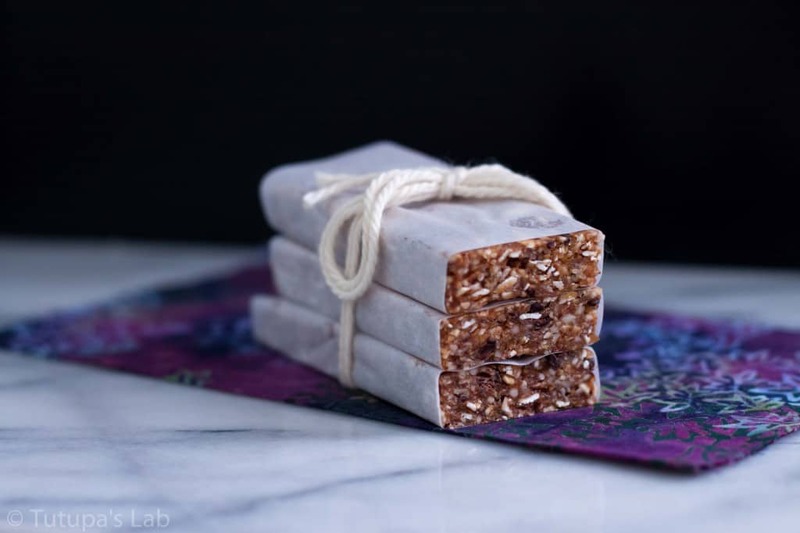 I love Lara bars and eat them religiously, and these look so easy and wholesome. Plus now that I have a brand new food processor I received for Christmas I actively look for reasons to use it! What about you? What were some of your favorite things from the past week?